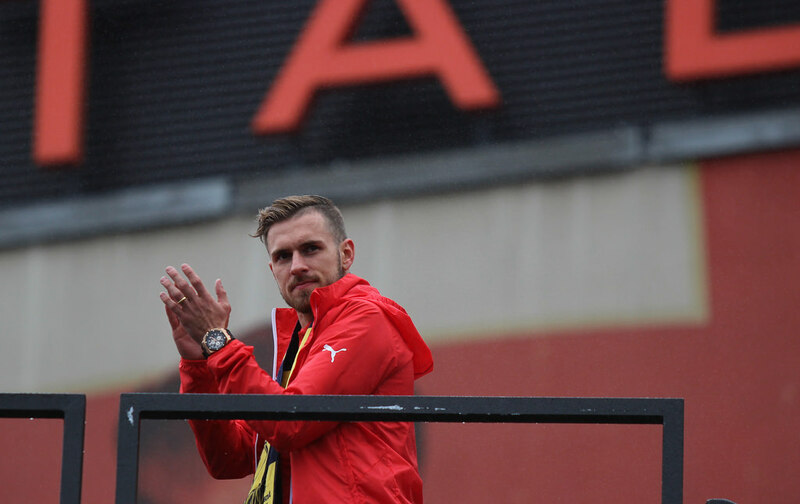 Aaron Ramsey's time at Arsenal looks to be coming to an end | Photo: Josh Smith. Aaron Ramsey could leave the Gunners in the near future. Arsenal may be forced to offload Aaron Ramsey in January after a 'complete breakdown' in contract negotiations, The Telegraph report. Ramsey's current contract expires in the summer, meaning he would be able to depart on a free transfer unless a cut-price deal is agreed beforehand. There had been optimism on both sides that an agreement could be reached, but it understood that Arsenal's stance has now changed. The club are thought to be totally unwilling to match the wage demands of their longest-serving current player. Ramsey has made over 300 appearances for Arsenal since joining in 2008. But as it stands, no offer is on the table and the Gunners are expected to sell the Welshman at the turn of the year. For Arsenal fans, this will no doubt seem similar to Alexis Sanchez's departure at the beginning of 2018. The forward refused to sign a new contract at the Emirates and jumped ship to Manchester United, with Henrikh Mkhitaryan moving the other way. A significant factor behind the apparent shift in Arsenal's stance is the financial restrictions which are currently in place. Manager Unai Emery has allegedly been told that the club are struggling to manage their current wage bill, meaning they cannot realistically afford to substantially boost Ramsey's earnings. Emery seems to have decided that keeping hold of Ramsey is not a necessity given the array of attacking talent at his disposal. The 27-year-old has yet to find the net, or hit top form, this season. Elsewhere, negotiations over an extension for back-up striker Danny Welbeck continue. Welbeck has started the campaign impressively, averaging a goal every 55 minutes in his six appearances. His contract also expires in June, so Arsenal will be looking to swiftly agree terms.